Making bath bombs for adults is about what the bath bomb can do for you… Does it soften your skin, or help you relax with aromatherapy? Does it make you feel better when you have a cold? Or maybe they just add a little childlike fun to your relax time! 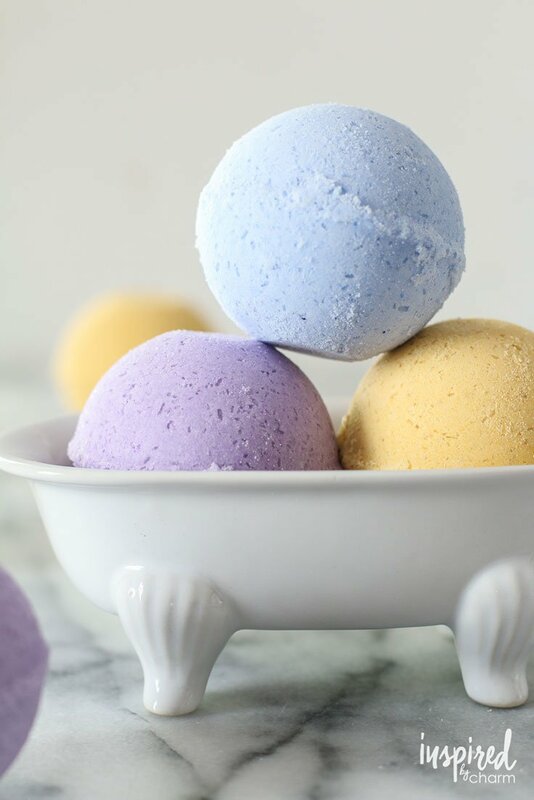 Whatever your reason for using them, making bath bombs can be as satisfying as using them. Let’s face it, they are little science experiments in a ball, right? And all you need are some bath bomb molds from any craft store, and a few simple ingredients. So here are our top picks for bath bomb recipes. Tanya at ‘Lovely Greens‘ is a garden girl after my own heart. 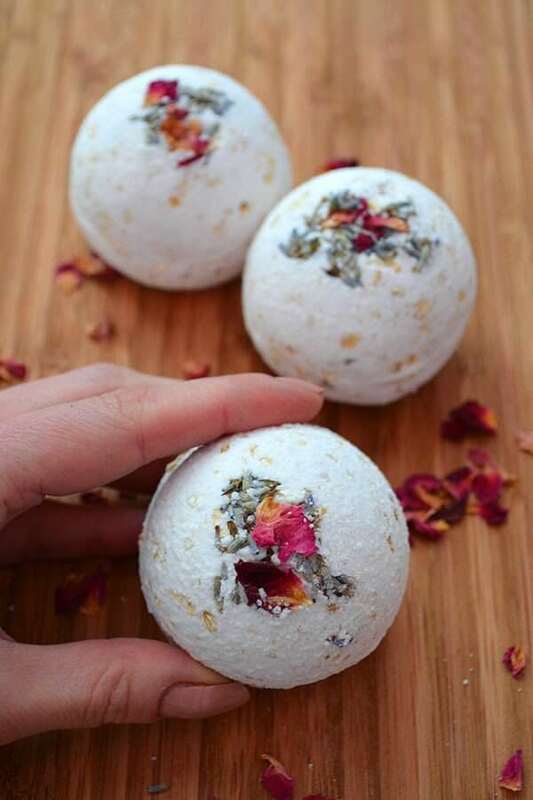 This rose and lavender bath bomb recipe looks gorgeous. But it also has oatmeal to sooth the skin and essential oils for fragrance. Did I mention how pretty they are? Remember what I said about DIY bath bombs making great gifts! This would be one to give! Michael from ‘Inspired by Charm‘ has a quick and easy tutorial on how to make bath bombs. He also shows you how to use pigment to create colored DIY bath bombs. Don’t these just make you want to light a candle, turn the bath faucet to hot and turn down the lights? 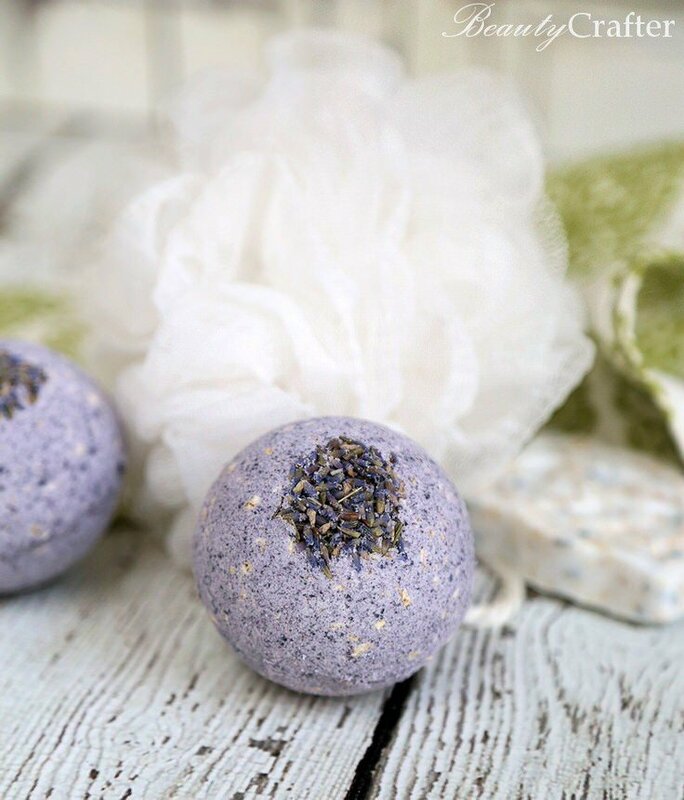 From ‘BeautyCrafter‘, try this lavender oatmeal bath bomb recipe for a relaxing and soothing bath. She even tells you how to adjust the recipe to create exactly what you need. Moisturizing and calming, we love this one! You have to check out ‘Soap Queen‘! More DIY bath recipes than you could ever need! 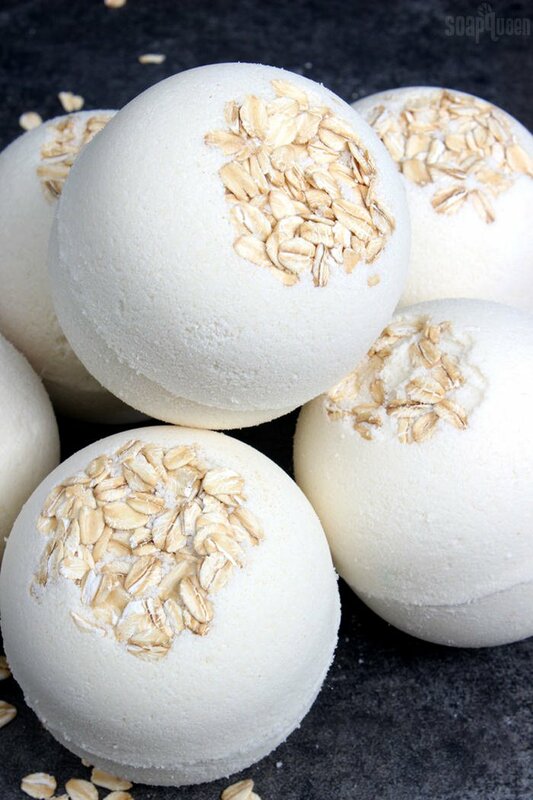 We love this oatmeal DIY bath bomb for its simplicity. Again, oatmeal is soothing to the skin. She also shows you how to use a fragrance oil in this project. Visit her site, and have some fun going through all her recipes and projects! 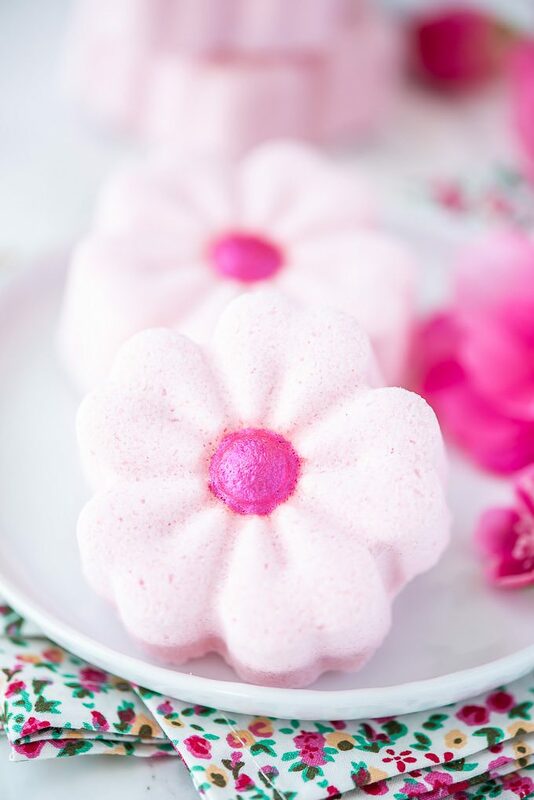 These cherry blossom homemade bath bombs are perfect for sensitive skin. She uses grapeseed oil and Epsom salts, both of which are great for relaxation and moisturizing. This recipe is from ‘A Pumpkin and a Princess‘, and is another gorgeous one that would make a great DIY gift idea! 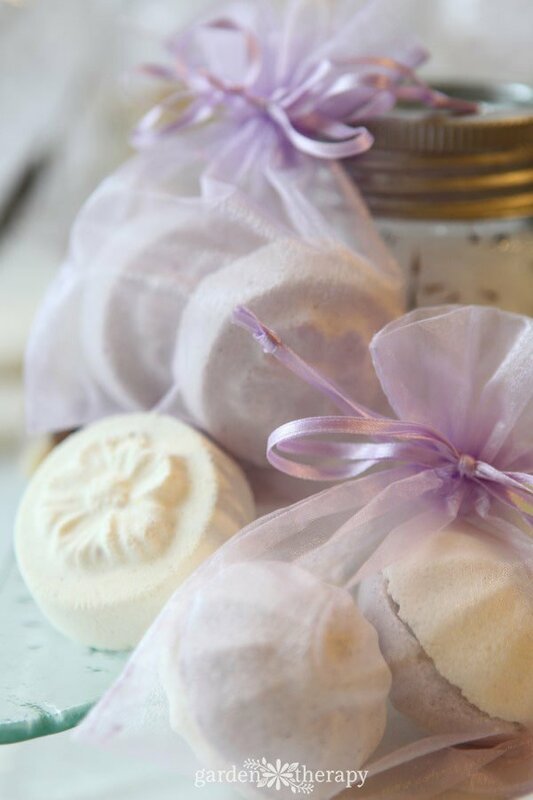 These all natural bath bombs from Stephanie at ‘Garden Therapy‘ are easy to make and perfect when you are avoiding chemicals of any kind. She has lots of garden based projects perfect for crafters too! 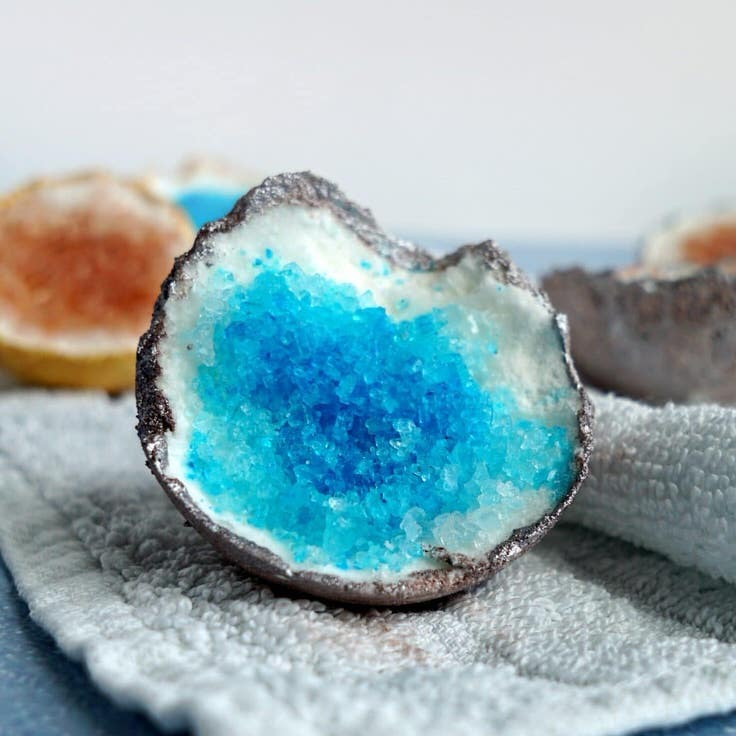 I wasn’t quite sure whether to include these Geode DIY bath bombs with the ones for adults, or the kids, we love them so much! So, here it is in the middle. This bath bomb recipe from ‘The Makeup Dummy‘ is freakin’ cool, and that’s all I can say. Right? And they have coconut oil for moisturizing too! When making bath bombs for kids, you want to put a little more “fun” into the mix. After all, though it’s important to us parents that the products you use (or make) are safe for them, they just want more joy, right? So lets give it to them with these tutorials on how to make bath bombs for kids! 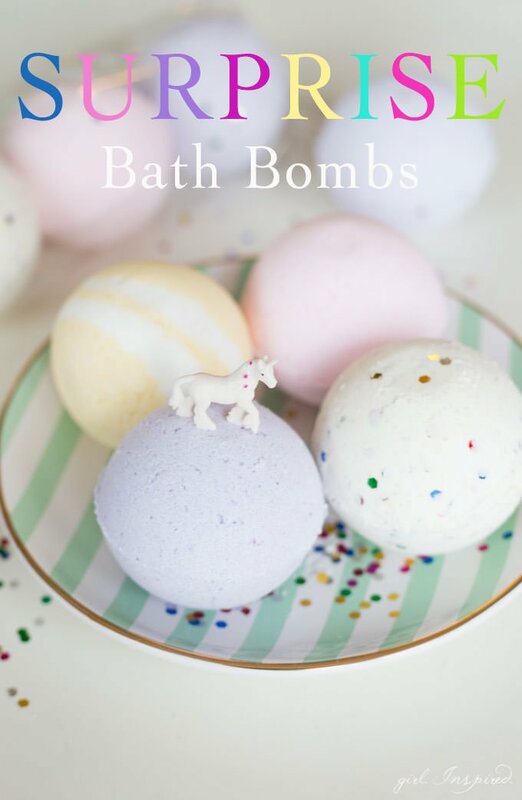 From ‘Creative Green Living‘ comes this bath bomb recipe for the kid in all of us. Bubblegum! 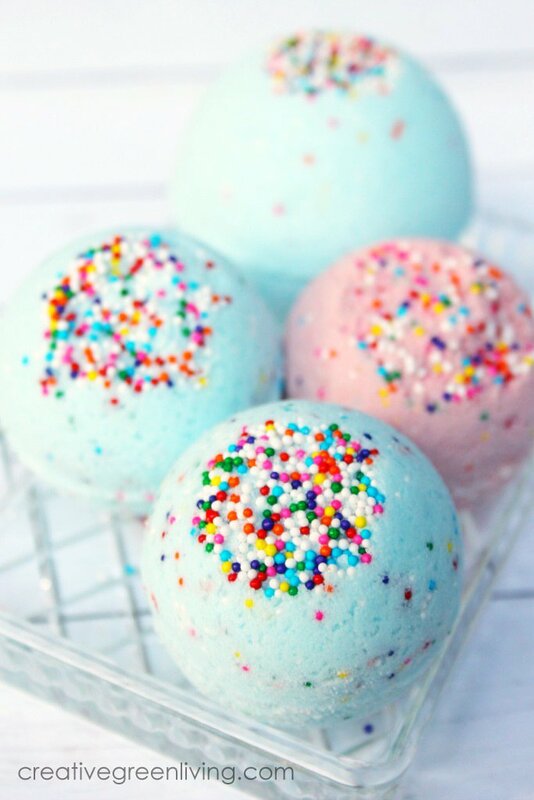 These are “Lush” inspired DIY bath bombs, and yes, they actually smell like bubblegum! What’s better than a surprise in the middle? 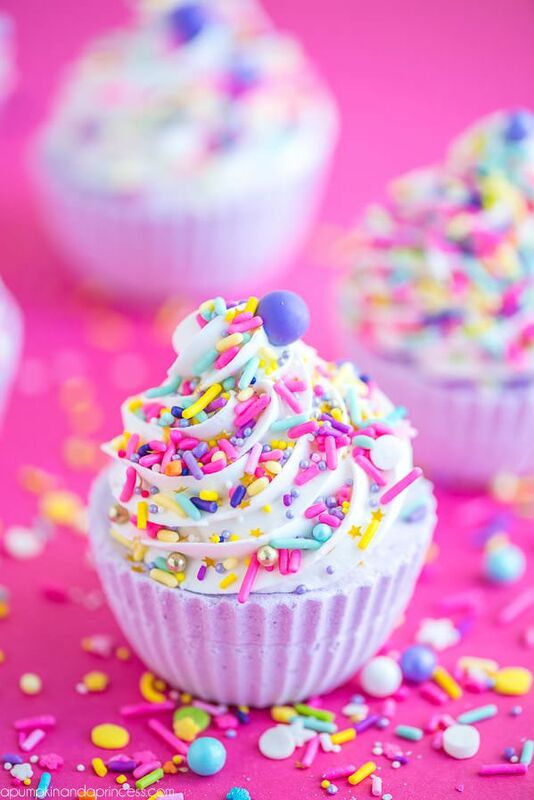 These “surprise” DIY bath bombs from ‘The Girl, Inspired‘ are so much fun! Make sure whatever you choose as a treat for the center of your bath bomb is safe and age appropriate. 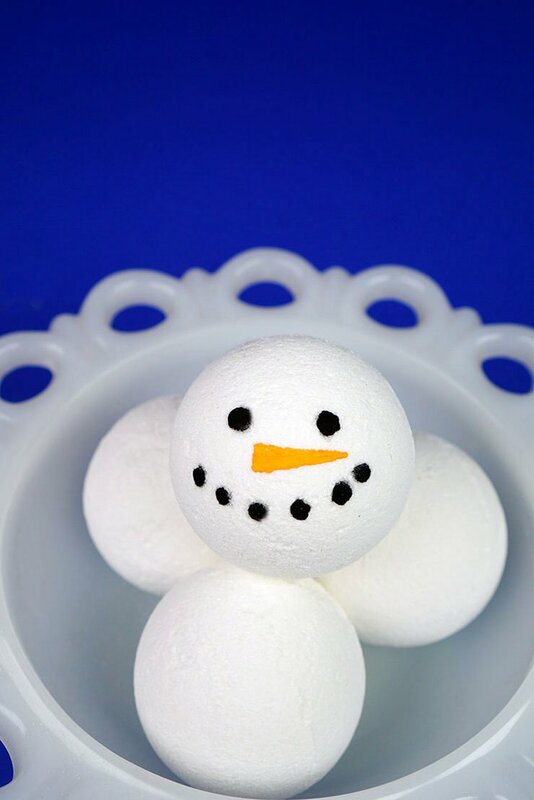 For a little wintertime fun, try this snowman bath bomb recipe from ‘Happiness is Homemade‘! Super simple, super cute! DIY bath salts may not have all the fizzy flair of a homemade bath bomb, but they rock just the same. With a base of Epsom or Sea salts, they relax and detox the skin and body. 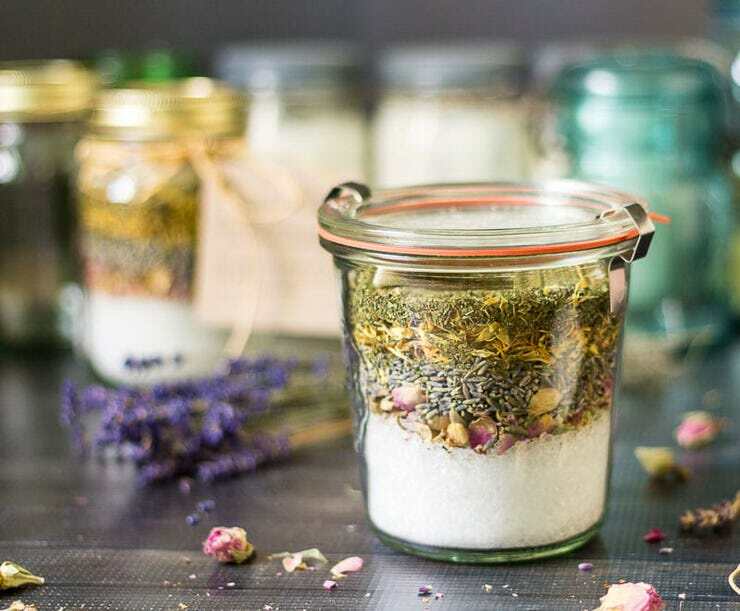 These bath salt recipes help to heal and soothe you, and are even easier than making bath bombs! 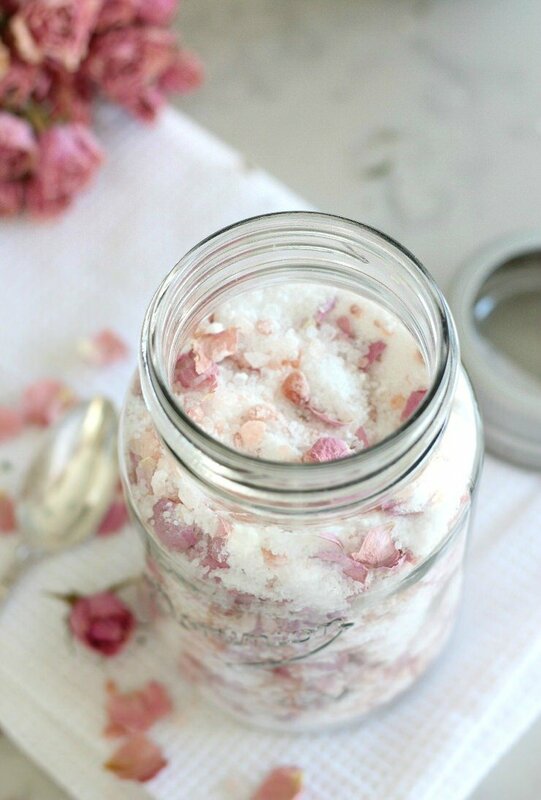 From ‘Satori Design‘, this rose petal DIY bath salt recipe is perfect for a lovely weekend soak in the tub, complete with candles and moonlight. Or, put it in pretty jars for an easy gift! I love her tip on only using organic flower petals in your bath recipes. You don’t want to take a bath with pesticides! 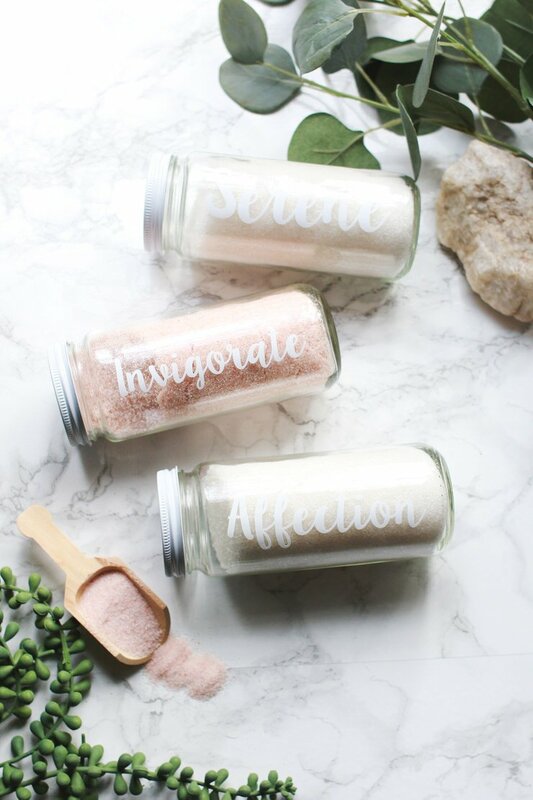 Customize your own DIY bath salts with this tutorial from ‘A Beautiful Mess‘. They created different scents for relaxing baths, invigorating baths, even romantic baths. They used Pink Himalayan salt and essential oils for this recipe. ‘Suburban Simplicity‘ has a great holiday gift idea for you! (You can gift yourself, ya know!) 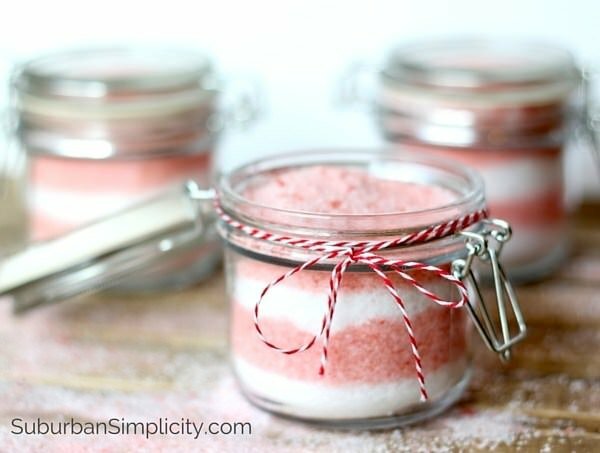 These peppermint DIY bath salts are easy, and look so pretty layered in a glass jar. She even has a printable tag for you! Last we have for you a cross between DIY bath salts and bath tea. This herbal concoction from ‘Hearth & Vine‘ is so pretty! It layers epsom salts, essential oils and actual herb and blossoms to create a beautiful bath gift. Once again, she even has a printable instruction tag for you! Well here we are at the end of a post I loved writing! 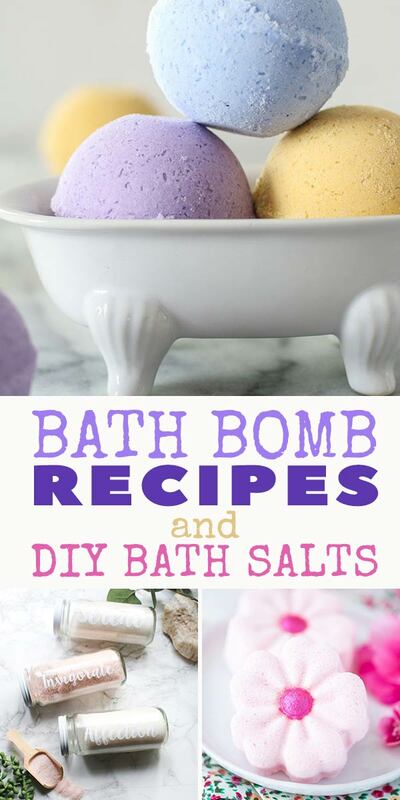 I’m off to make some of these Bath Bomb Recipes & DIY Bath Salts! Enjoy! Previous Post What is Kombucha Tea? Should You Be Drinking It? Next Post Would a Short Hair Cut Look Good On You? Try This Easy Trick to Know!